A major player in dermatology for over 40 years, Pierre Fabre has had over 45 years of experience in the pharmaceutical industry. The GLYTONE brand is at the top in research and development, offering scientific solutions that guarantee optimal tolerance and effectiveness. Health and safety are at the core of all of Pierre Fabre’s formulations. GLYTONE promises to continue this commitment between dermatological and cosmetic practices. Glytone’s foundation began to take place in 1943, when 2 pharmacists started making exclusive topical dermatological skincare products. The true benefits of free glycolic acid were just starting to be discussed in 1998 and in 1992, under the name Genesis Pharmaceuticals, GLYTONE was created as the physicians-only glycolic acid product line that provides the highest effectiveness of skin rejuvenation. 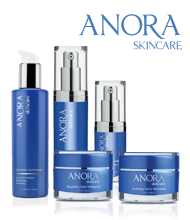 It targets solutions for skin health through the utilization of the highest free acid levels available. In 2002, Pierre Fabre Dermo-Cosmetique bought Genesis Pharmaceuticals and with it the GLYTONE brand. Glytone’s Back Acne Spray is an effective at-home treatment spray that utilizes unique qualities of salicylic acid to help remove dead surface skin cells and acne bacteria. A great aspect to this product is that you don’t have to contort yourself to put it on. The innovative pump bottle sprays even in the upside down position. I personally like kits; it takes the guesswork out of what to buy when you are starting with a new brand. Glytone’s KP Kit is a glycolic acid program that helps keratosis pilaris. Keratosis pilaris is a common condition that appears as rough red bumps on the skin. It usually affects the back and outer sides of the upper arms and is completely harmless. It is also treatable with the products in the KP Kit.